Choosing the right patio door for your home is not as easy as it may seem. You need to consider different elements, including the design, color and configuration. Fortunately, you’re free to use our window and door visualizer to get a glimpse of your new exterior doors. Renewal by Andersen® of Central Illinois, a storm door installation company, discusses how this tool works and how it can help you make the right decision. One of the perks of using our visualizer tool is it gives you an idea of how your replacement windows and doors will look once installed. Do this by uploading the photo of your home. You may also use the sample photos in the gallery that resemble the appearance of your interior or exterior. You can then pick which doors and windows suit your taste. For instance, you are getting new patio doors. Just upload the image of your patio and scale the size on the screen. You can then choose the features you want to add to your new exterior door. When using the window and door visualizer, you can pick which material and color for the frames to use. You may also customize your patio door by choosing the perfect trim, grille pattern, glass and hardware that fit your home. Everything you need to personalize your door is available, and all you need to do is select and click on your preferences. Moreover, you can mix and match your patio or entry doors with different window designs to fully visualize how your home will look once they are installed. 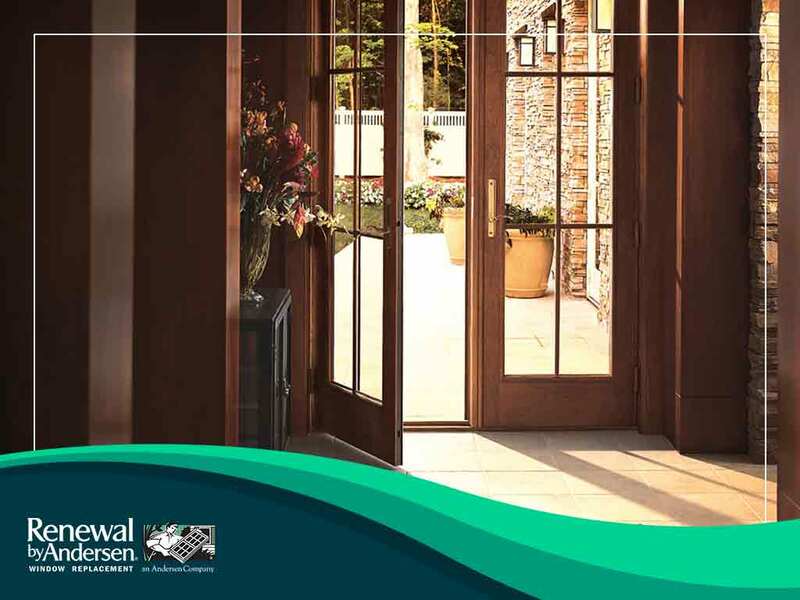 Renewal by Andersen of Central Illinois offers high-quality replacement windows and doors. Call us today at (866) 693-6707 or fill out our online form to learn more about our products and services. We serve residents of Champaign, Peoria and Bloomington, IL.